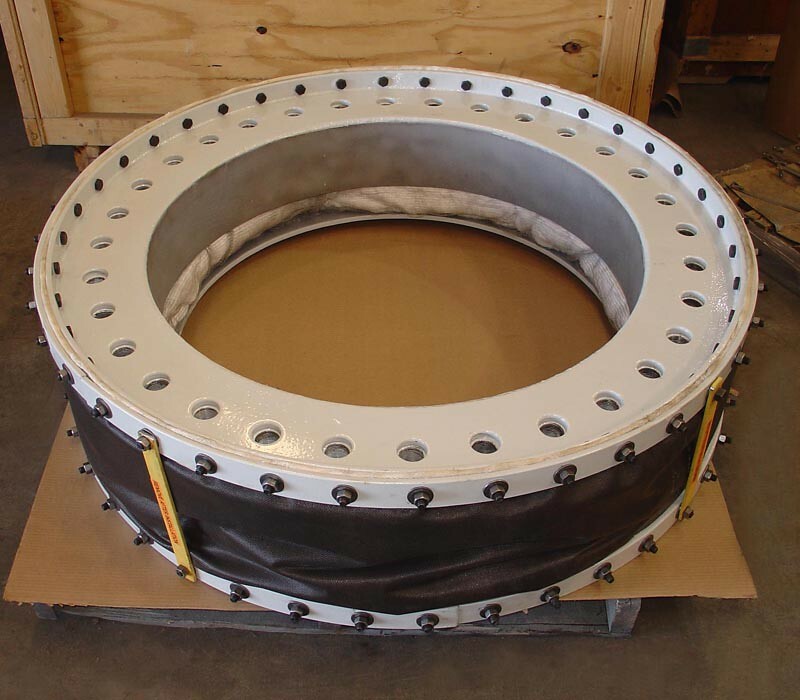 This 36″ diameter fabric expansion joint with a three layer fabric belt includes 150 lb. flat face flanges with carbon steel backing bars and liner. 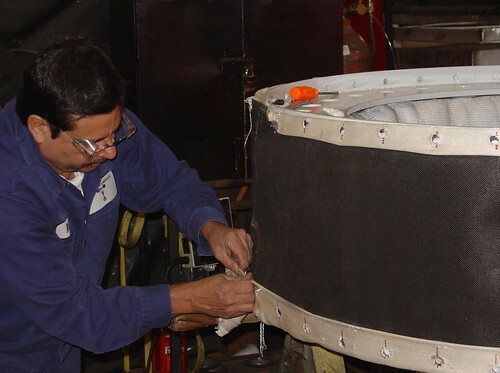 The fabric belt consists of silical fabric, fiberglass fabric and mineral wool insulation. 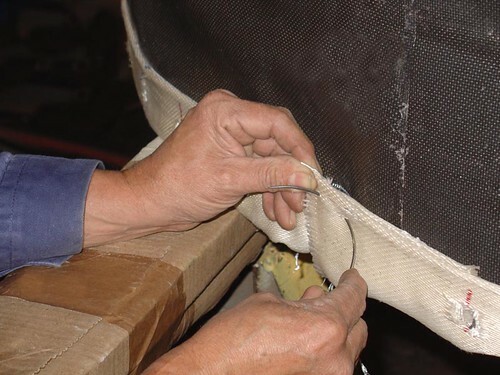 The photos below show the process of stitching the fabric belt on the first layer.